The future of a proposed mobile asphalt plant on a local mining property once again rests in the hands of the Crook County Planning Commission. After considering testimony and evidence from an approximately 90-minute appeal hearing two weeks ago, Crook County Court members decided to remand the matter back to the commission in hopes of correcting procedural errors alleged by the appellants. Applicant Clint Woodward has requested a conditional use permit modification to allow the addition of a mobile asphalt plant on an existing aggregate site on Paulina Highway near Prineville. The mobile plant was previously operated at Juniper Rock Products at the base of Juniper Canyon, about six miles northwest of the proposed site. Woodward also wants to use the site to recycle asphalt. Kristy Cooper and other people who live near the site have strongly opposed the proposal since it was first reviewed by the planning commission at a Nov. 28 hearing. After the commission approved the application on Jan. 10, Cooper and others filed an appeal, citing five procedural errors and five other substantive issues that they said should be grounds to deny the application. The procedural errors primarily revolved around how much testimony opponents of the proposal were allowed to submit and how long the record was kept open to accept evidence or testimony against the application. Another procedural concern raised was that a site visit by the planning commission was not properly noticed or described during the public hearing process. Other arguments raised by the appellants were that the environmental impacts of asphalt production were not adequately addressed in the application process. Opponents of the proposal argue that impacts to storm water, ground water and air quality should be adequately addressed before the proposal receives planning commission approval. Also, during the public hearing and again at the appeal hearing, residents testified that the asphalt production would release contaminants into the air that would harm organic farm operations and associated income. As the appeal hearing concluded, the county court opted to take all of the testimony and evidence under advisement with plans to review the material and reach a decision at a later date. According to county code, the governing body could choose to affirm, overrule or modify the proposal, or remand the decision to the county planning commission with instructions to consider additional facts, issues or criteria not previously addressed. Crook County Counsel Jeff Wilson met with each commissioner individually to review the testimony and evidence and determine what course of action to take. The group then reached a consensus after which Wilson drafted a final decision on the matter. The county court decided to remand the matter back to the planning commission, a decision that Wilson said was requested by the applicant in a written final argument submitted after the appeal hearing. "The request from the applicant was that the matter be remanded back to the planning commission to give the applicant the opportunity to address many of the procedural errors that are alleged by the appellants in this case," Wilson explained. 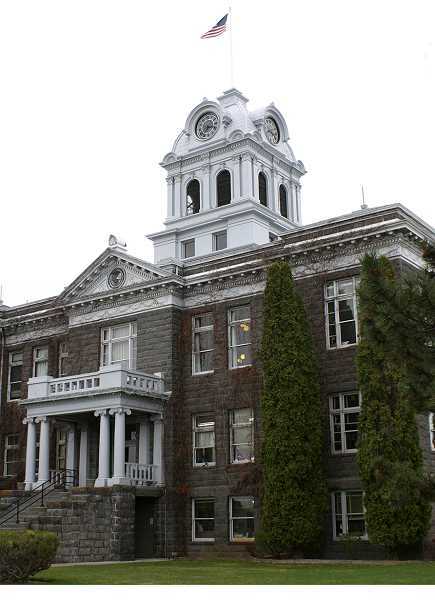 "The county agrees with the applicant that having the case go all the way to LUBA (Oregon Land Use Board of Appeals) and then be remanded on a procedural issue would be an unfortunate waste of time." The remand includes several instructions for the planning commission. The group must hold a public hearing and reopen the record to new evidence and testimony. The testimony and evidence will be limited solely to issues raised in the appellants' notice of appeal. "It wouldn't open the record to anything and everything," Wilson stressed. "The record would be reopened to address the assignments of error that were raised." The record must be kept open for 21 days after the public hearing to receive additional written evidence and testimony, and then the planning commission must provide a separate seven-day rebuttal period limited to evidence and testimony submitted during the 21-day period. Lastly, the planning commission must provide another seven-day final argument period that by statute is only made available to the applicant.